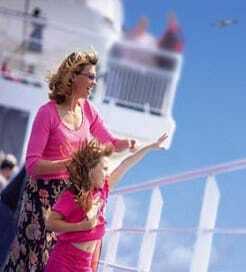 With access to live sailings and the best fares on all ferry routes to Terceira, at Direct Ferries you are sure to find the right ferry crossing at the lowest price. Using our unique comparison engine you can compare Terceira ferry timetables, fares and sailing durations in one quick and easy search saving you time and money. Follow the links of various ferries to Terceira below or to compare timetables and ferry prices now simply enter your details in our 'Fare Search'. For more information, please visit our Ferries from Faial to Terceira page. For more information, please visit our Ferries from Flores to Terceira page. For more information, please visit our Ferries from Sao Miguel to Terceira page. For more information, please visit our Ferries from Pico to Terceira page. For more information, please visit our Ferries from Sao Jorge to Terceira page. For more information, please visit our Ferries from Graciosa to Terceira page.